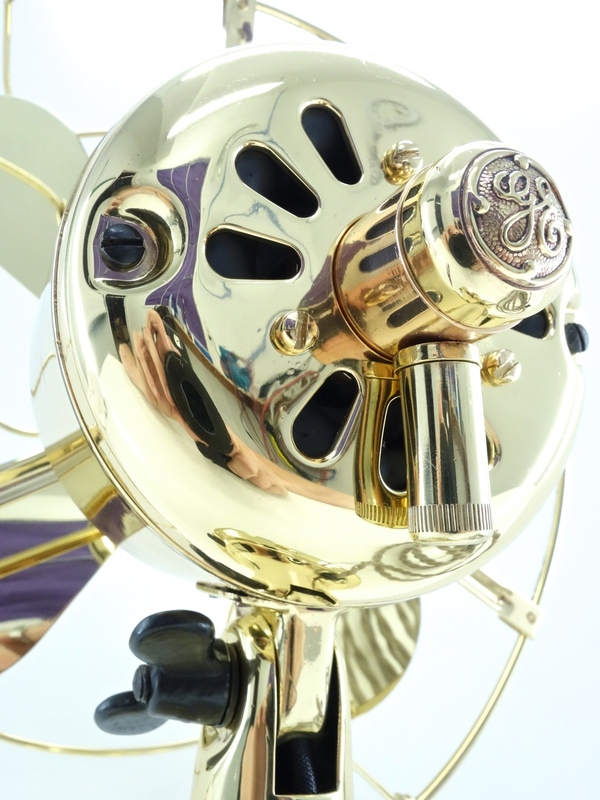 White Glove Fans' favorite fan is, without a doubt, the GE All Brass. 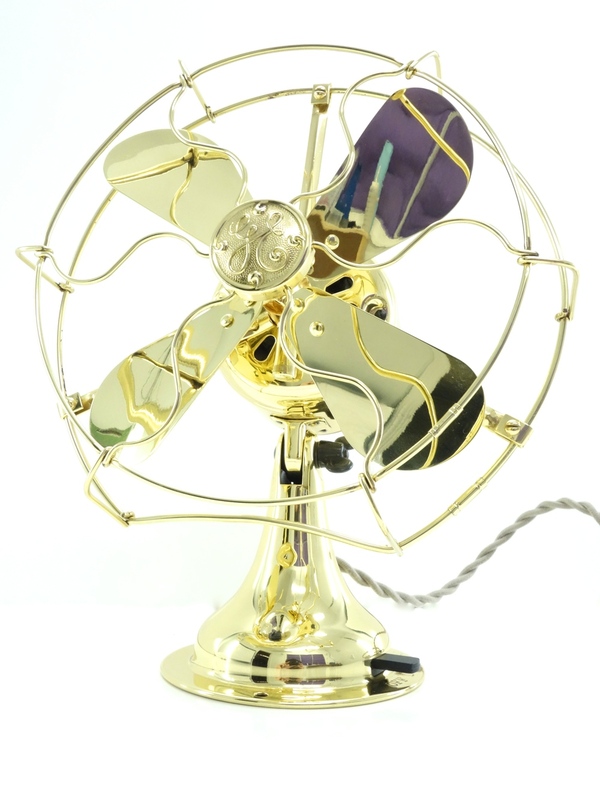 At 8" in diameter and made of solid brass, this fan is compact, quiet, efficient, and beautiful. 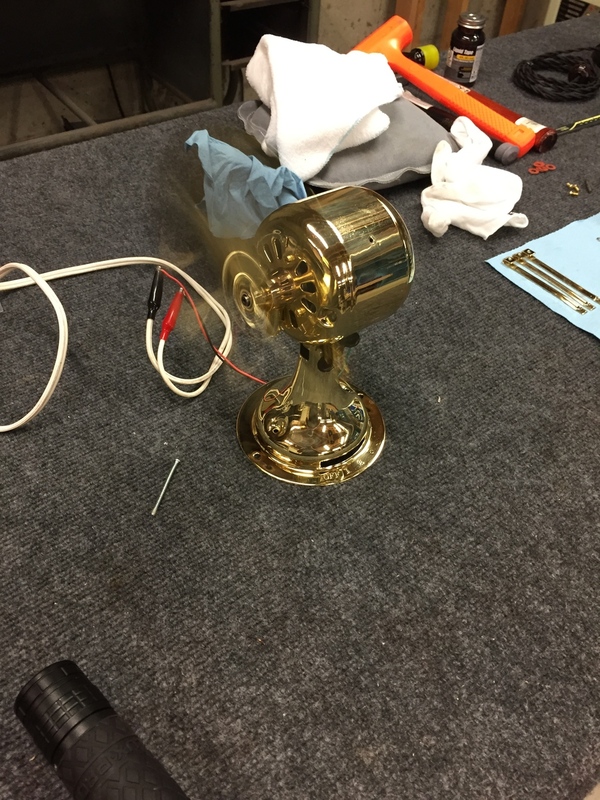 Restoring a GE all brass is no easy task. It takes a delicate hand and some patience. Typically nothing goes right for you on these little guys and you'll be plagued with open stator coils, scratches, and broken parts if you're not extremely careful. The hardest part is taking the motor out from the motor casing without creating any damage to the casing or to the motor windings. 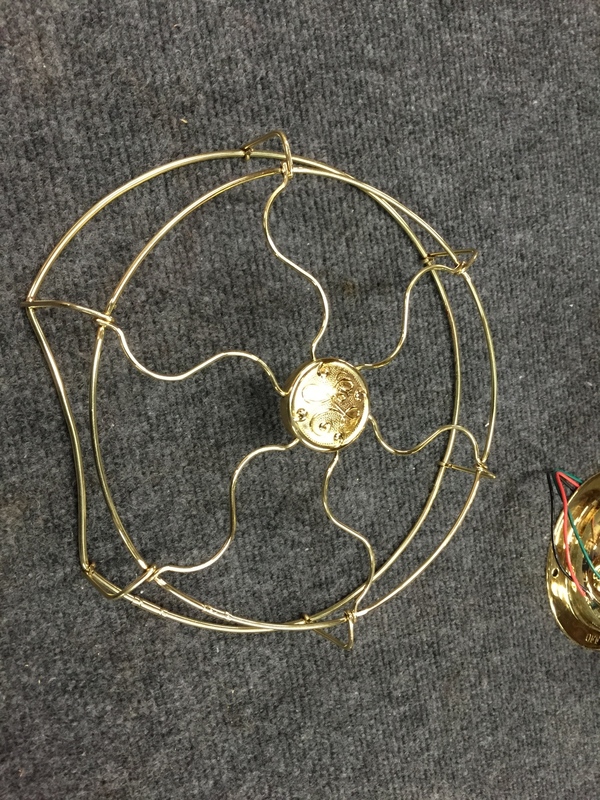 The next biggest frustration is that despite these glorious fans being made from brass, the carriers which held the bearings in place were of flimsy and brittle pot-metal construction (except for some very early units, which had bronze bearing carriers). These carriers are nearly impossible to push out without damaging them, which means you're left to polish and work on the fan without removing them. Not ideal: A complete disassembly is required to produce results that I seek. 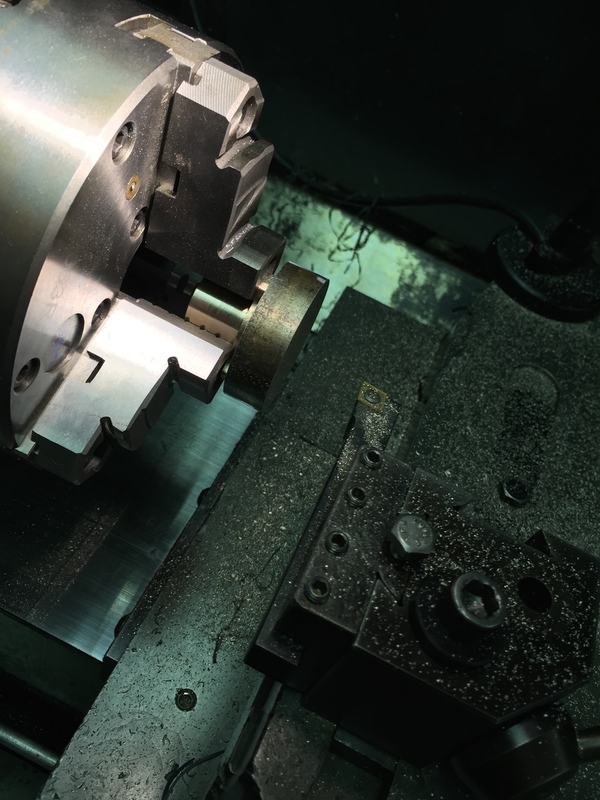 Therefore I decided to machine my own bearing carriers from solid bronze stock using my trusty Haas CNC mill. Below you can see the process of all of this hard work. 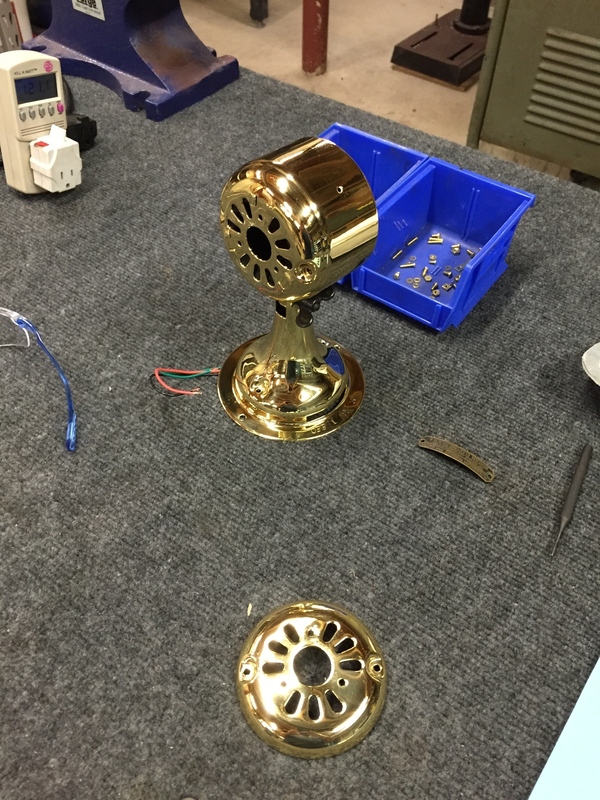 New wings were cut, new bearing carriers, and the fan was then polished, lacquered, and assembled back together. Operation of this fan is a joy, and I consider this gleaming beauty to be a work of art. What's next? 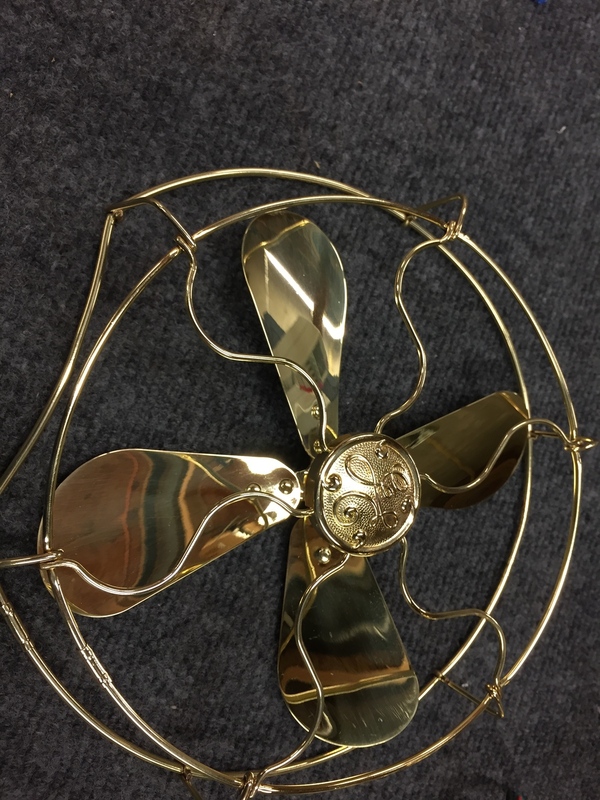 Well I've got a few GE all brass fans that are in need of a motor re-wind. 24 coils of GE polyphase goodness, I can't wait.